Over the last two months, I've been testing, and reviewing the latest entrant to Managed WordPress Hosting space, Kinsta. 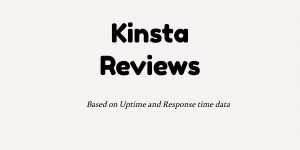 I've been closely monitoring them since it's inception and when they introduced low tier plans for $30/month to compete with WP Engine, I decided to test and write this Kinsta Reviews at Hostingstep. Without any further texts, let me drive you the best review on Kinsta, you'll read on Internet. Kinsta Reviews 2019 - A Kicky Name? Kinsta was founded in 2013 when Managed WordPress Hosting is not a big thing, majority of people use shared hosting but things getting changed. With WordPress capturing larger CMS market share, and Managed WordPress Hosting is an essential thing for online business in 2018 & beyond. When they introduced cheaper plans, Kinsta went head to head against industry leader WP Engine. We already have existing data for WP Engine uptime & response time, and now through this Kinsta Reviews, you might get an clear edge who is the winner. As per our methodology, I got an hosting account at Kinsta, deployed a default WordPress site and started monitoring Uptime / response time for the last two months. I was impressed with these Kinsta loading time results. While WP Engine loads at an average of 140ms Kinsta is even more faster loads at an average of 132ms. If you're new, it's like lower the value, faster the site load time. None of the shared hosting plans, we tested so far offered such a fast loading time, the closer is FastComet offering around 300ms and SiteGround around 340ms. The above data clearly shows why you should go with Managed WordPress Hosting like Kinsta. The Uptime of Kinsta is 99.99% and there was two downtime as seen below. Honestly, the uptime of WP Engine is 100% throughout three months of testing and it's great to see such results. Kinsta with an uptime of 99.99% is not bad, considering only a very few companies offered 99.99% uptime during our testing phase. The best thing about Kinsta is customer support. While most companies asks you to raise tickets or need to be in chat queue to solve the issues, Kinsta offers an live chat option within the dashboard and the support agents are available 24x7 and I found them Knowledgeable, thanks to the deep understanding on WordPress. The only Managed WordPress Hosting company to be completely powered by Google Cloud. There are few other hosting companies like Cloudways offering hosting through Google Cloud but Kinsta being an truly WordPress Hosting have an edge over others. Unlike WP Engine, Kinsta doesn't restrict or charges extra for choosing your preferred data center locations. 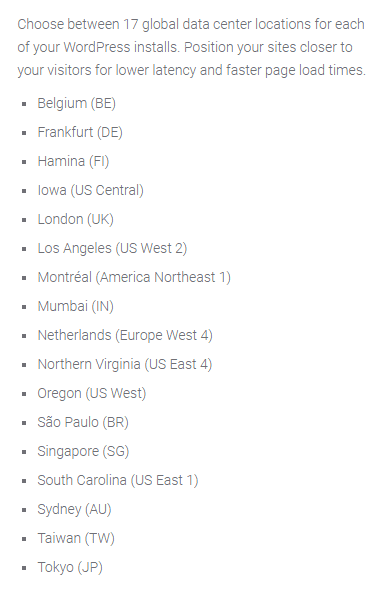 With Kinsta, you can choose any of 17 data center locations to host your website and Google Cloud has an data center location is almost every continent. Backups will be vital when your site crashes and free daily backups from Kinsta helps you to restore your WordPress site without any hassles. Based on plans, the backup retention is available from 14 days to 30 days. Apart from it, you can also create manual backups like hourly by paying little bit extra. To offer fast loading sites, Kinsta uses the best technologies like MariaDB, Ngnix, LXD containers, latest PHP etc on Google cloud platform. Apart from it, there are lot of addons like Elastic search, Cloudfare Railgun, Redis, Ngnix reverse proxy to make your WordPress even better. Kinsta allows up to 1 free migrations from starter plans and extends up to 5 free migrations for business plans. For a very limited time in September 2018, Kinsta offers Unlimited Free migrations from WP Engine Hosting. You don't need to use an caching plugin like WP Rocket, W3 Total Cache since Kinsta has it's own caching plugin comes preinstalled with every WordPress installations. Kinsta has an plan for every business be it small or larger. The starter plan costs $30/month and has Enterprise plans up to $900/month. 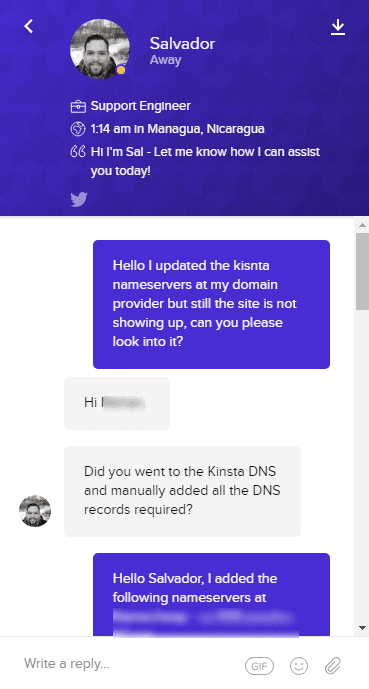 If you're fan of cPanel based Email Hosting, the bad news is Kinsta won't offer Email hosting on its hosting plans and this is pretty common with most managed WordPress hosting providers our there. Apart from those few downtimes, there is no real issues with Kinsta. They're completely transparent, polite and knows what customers expect from a Managed Hosting Company and delivers the same without fail. 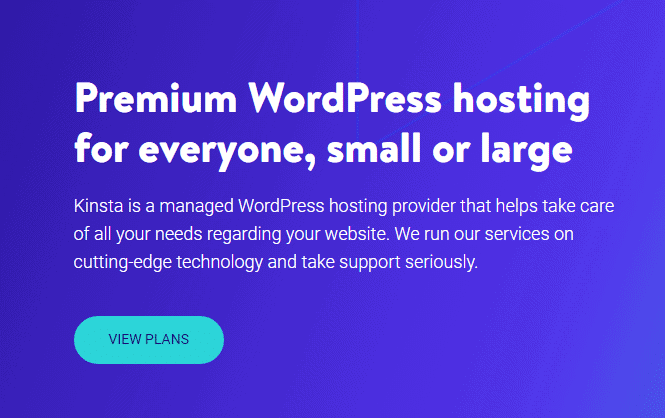 Right now, I can say Kinsta is the fastest Managed WordPress Hosting available in the market right now and don't forget to avail the free WP Engine Migrations if you're an WP Engine customer.